Step behind the bar and take part in a hands-on cocktail making lesson. From corporate ice-breakers to hen parties with a difference, our interactive cocktail making classes are the ideal way to bring everyone together to share in the fun. Engaging a room full of people can be a difficult task, especially at large events and corporate functions. 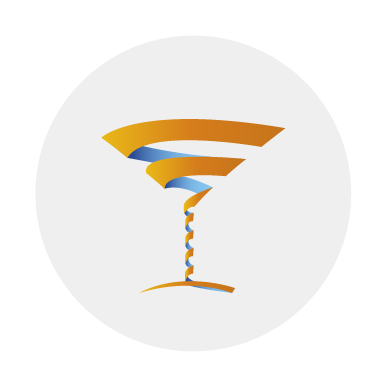 Trust the Mix & Twist team to take care of the entertainment for you and unite everyone in a fun and lively cocktail making class. It’s all about getting stuck in, as you work alongside our highly skilled mixologists to create delicious drinks and share a laugh amongst friends. 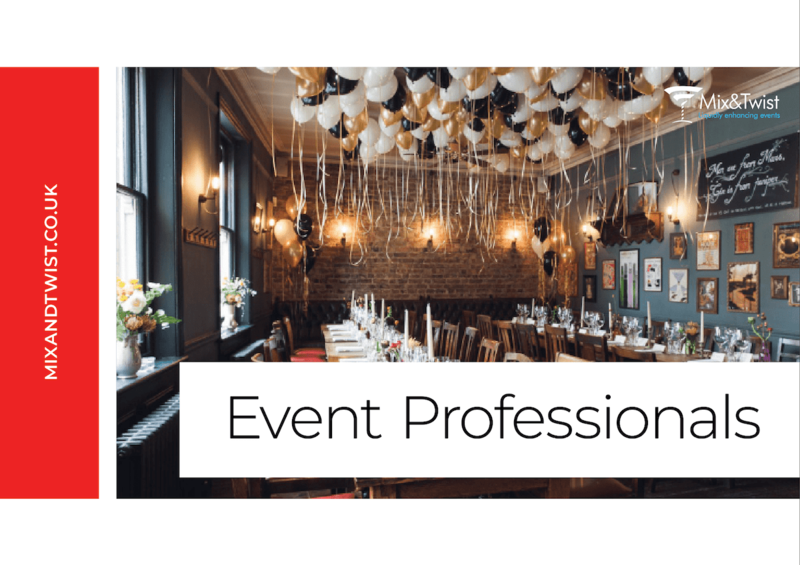 No matter the occasion, these events are sure to get everyone talking. You and your guests will learn all there is to know about your favourite cocktails, including the history, origin and ingredients behind each drink. Then comes the fun part - the cocktail making! Watch closely as our experts teach you how to mix, muddle, shake and stir your chosen tipple to perfection. There are plenty of options to choose from, so you can develop a menu that suits you. And of course, you’ll be able to drink your creation at the end of it all! Our mobile cocktail bars can be set up just about anywhere, allowing us to bring fun and flair to almost any event. No matter the occasion, getting a hands-on cocktail making lesson from our expert bartenders isn’t just a great chance to learn something new, but a promising way to ensure your event stays memorable for all the right reasons. These events typically suit groups of between ten and 100 people, however numbers aren’t limited. 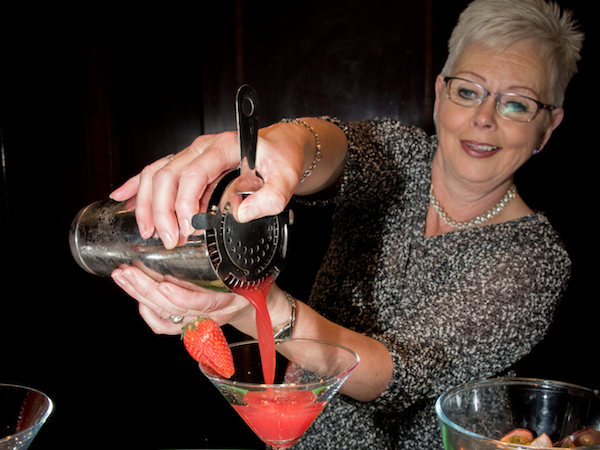 Get in touch to see how our cocktail making classes can help bring your next function to life. 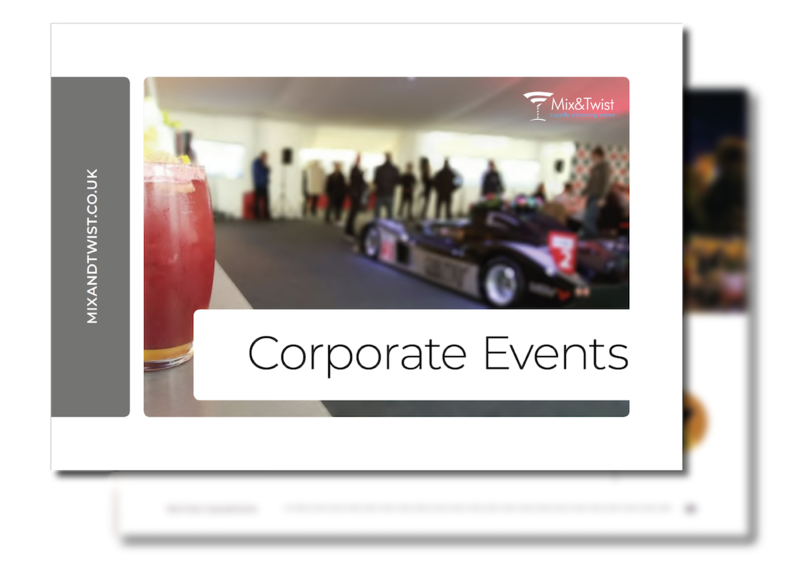 It can be difficult to find unique entertainment that engages and excites your team in between their event sessions or at the end of their busy day. If you have ever fancied yourself as a bit of a cocktail maestro, you now have the chance to have fun and learn with our team building cocktail masterclass. 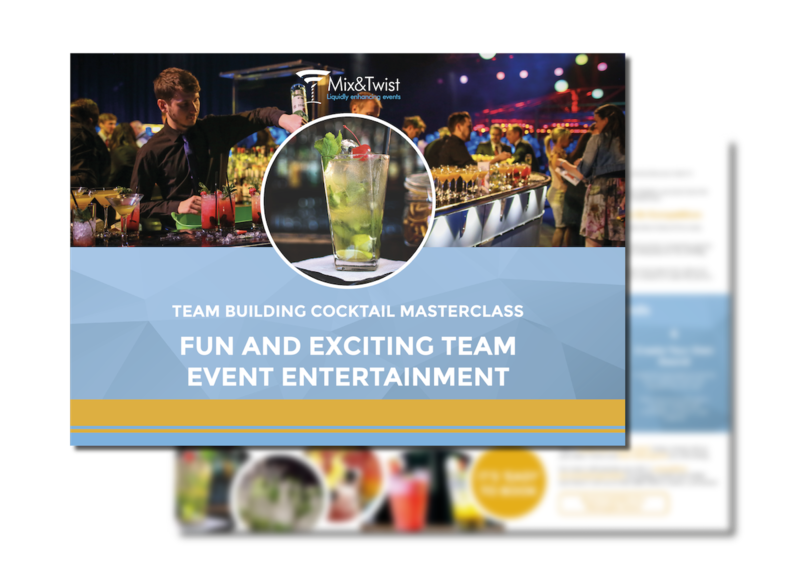 Download the guide to learn more on how to engage your staff and deliver the ultimate team building event.